The first 4 Bike Guides (in a series of 7) can be downloaded here. 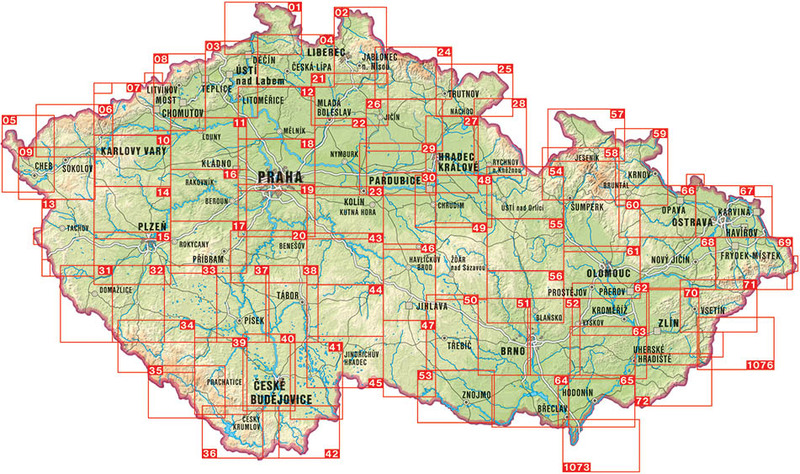 The guides are in English, Czech and German, and include maps, points of interest, elevation and distance information. The Czech Tourist Club (KČT) publishes a series of hiking and cycling maps based on detailed Surveying Authority contour maps. The scale is usually 1:50 000 or 1:75 000, and distances are given in kilometers. 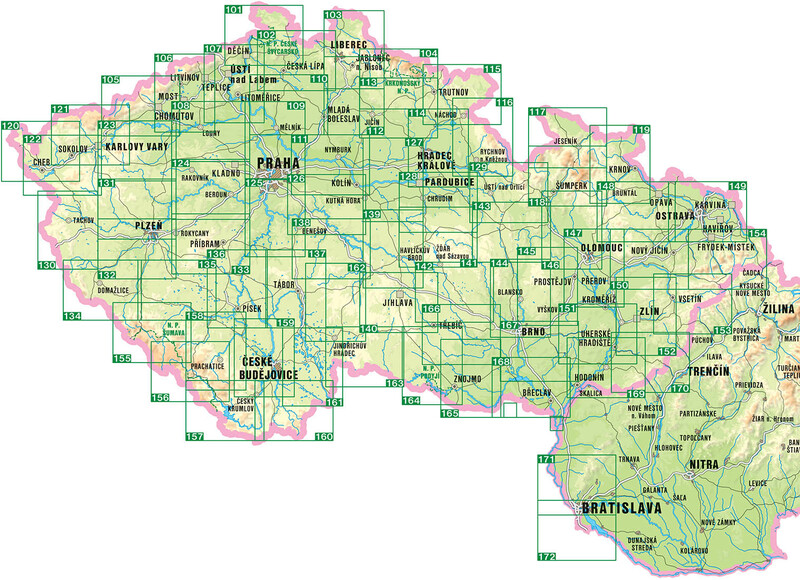 These maps can be purchased in any larger bookstore in the Czech Republic, on their website, at the he KČT Tourist Information Center or through the map manufacturer Trasa (see below). SHOCart, s.r.o. 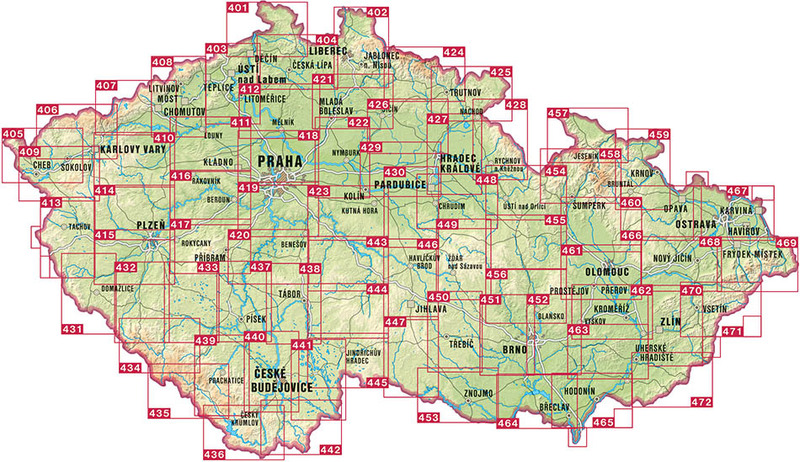 produces a series of 1:40 000, 1:50 000 and 1:60 000 scale hiking/cycling maps covering the Prague-Vienna Greenways. They can be purchased in the the Czech Republic, or on the SHOCart website (see below). The Guide describes the long-distance route Prague - Vienna. Each stage is marked on a single map, with the reverse side describing in detail the road conditions and environment. It also contains attractions and monuments, classification of surface, riding paths, color photos. To get the English/German version, look for this note at the bottom of the description on the website: "POZOR, jedná se o AJ / NJ verzi." Besides the Prague addresses listed below, you can generally find maps in the larger bookstores and Infocenters in most towns.